Want to add some sophisticated touches to your suit and tie? Do you lie to wear pocket squares but want something a bit more out of the ordinary than a solid colored hanky? 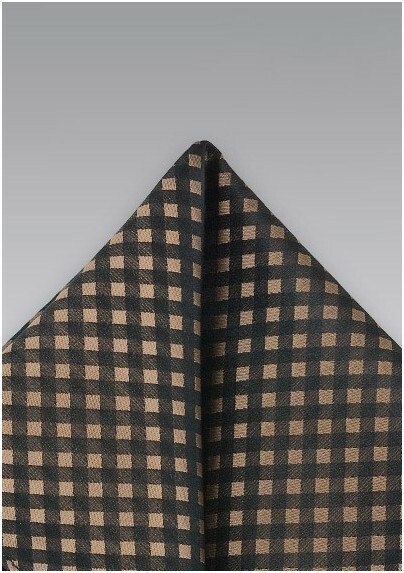 Then this espresso brown and black gingham checkered pocket square will be perfect. 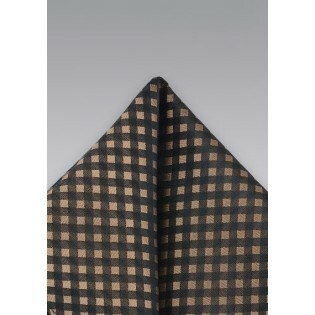 To match this pocket square we suggest a black European cut suit, white shirt, and the matching espresso brown necktie. Made from pure silk by Chevalier.